As a native of the city of Birmingham there a some things that make me proud to be a child of the town. HP Sauce, Duran Duran, UB40, and the original Mini to name a few. But there is one thing that stands above all of that, a band well, more than that an entire sound that shrouded the city then now and forever. The story is well known, four working class lads from Birmingham who got together because there was chuff all else too do in Brum at that point in time. A real smoking sooty furnace of a place, the city was and still is a fairly hard place and for over 40 years Black Sabbath has been interwoven within that. 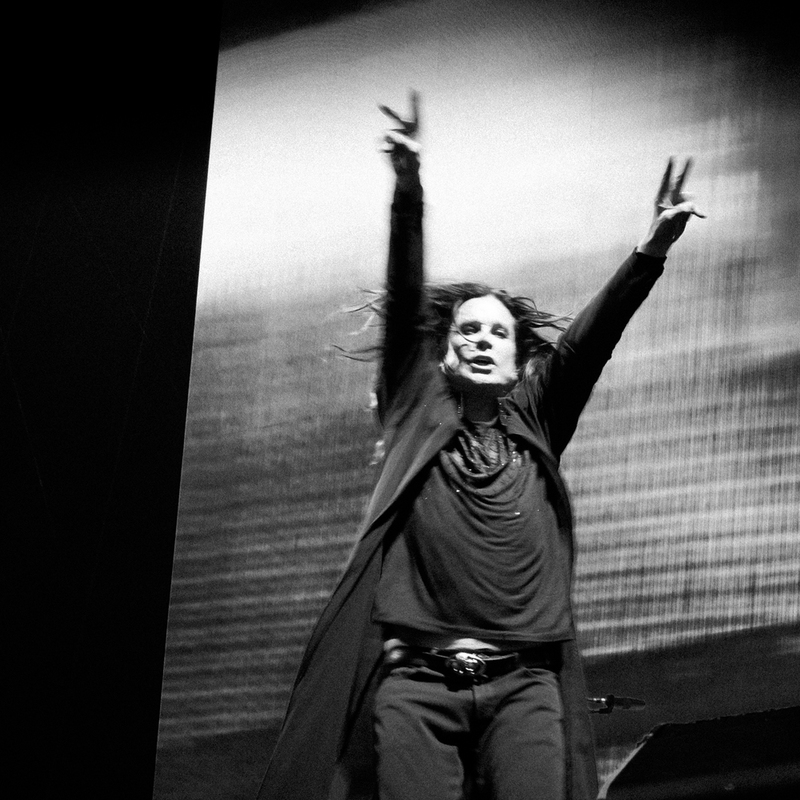 The heavy bluesy soul that Birmingham emits is the heart of Black Sabbath even now. The first time you hear the rain on "Black Sabbath" you know its serious stuff. The humour in Fairies Wear Boots speaks to us who didn't fit into cliques, us the outsiders. So growing up with all this, wherever I went and had the where are you from? question when the response was Birmingham I and would point out... home of Black Sabbath. Birmingham has changed some for the better some for the worse as all the new buildings go up scrubbing out the "old" Birmingham it's important not to forget the mighty impact of bands like Sabbath. I can think of other bands from the UK who have come from similar cities and are revered too near deity status some warranted others non so, but Sabbath have never really been given that status. Creating a genre of music should ensure that, The Beatles, Oasis, New Order can be defined by the places they came from celebrated by the cities of their birth. Sabbath have too a point but they should have been celebrated even more. Heck have you listened to the new Arctic Monkeys record? its a Sabbath album as good as it is. The rest of the world though that was different, listen too other rock luminaries speak about them and its clear how important Sabbath are to music culture, not just metal but across the board. So with that they have gone on to become that band, the band too see an event, even now as the years march on its special. London at Hyde Park should ensure how important they are. Its like going to church, Ozzy the preacher along with Tony Iommi the riff King and Geezer Butler the heavy soul and this was a sermon. The musicianship is still top of the class, Tony's battles with his health cannot diminish his craft and love of that craft. Geezer still plays bass like he is talking too your soul. Then there is Ozzy the poster boy if you want still able to excite folks like few can, sweary willing for madness within the crowd. The three still bounce off each other still enjoying the world they have owned forever. Bill Ward isn't there we know and thats the only downer that the four horsemen can't be together anymore, remember the drums on Sweat Leaf its an education. Current drummer Tommy Clufestos is still a staggering addition to the band though. Anyway this isn't NME and its not a review I'm too much of a fan for that. London though this was so good, per usual the Fuji X-Pro was along for the trip, seems he loved it too snapping away stealth when it needed to be and workable when to going got a bit serious. The privilege of being able too snap a few shots of the magic from the press pit was something you can tick off on a bucket list. Fighting the Canon boys who were looking for the stock shots for the press is all good I just wanted the feel the blues of it all. The 35mm and an old 50mm canon FD where all I had so you think differently, then throw the ISO up too 800 and let the Fuji tells story. Now... please do not take these images without my permission, of which there is no permission if you do I will send out the Iron Man. non-commercial steez on these but all rights remain. So obey the rules.